Wedding is the most precious and awaited moment in everyone’s life. No matter the marrying couples decide to go for a traditional wedding or a big unique wedding, wedding invites play a vital role in inviting your closed ones in your memorable event. The day when the girl accepts the wedding proposal of a man, she starts planning for her big day. And same is the case with the boy. If the date of the wedding is already decided, then it is the right time to plan the design of the wedding card and sending them to your guests. Sending the Save the Date cards beforehand ensures that your loved ones will plan their schedule in order to become a part of the great day. From wedding gowns, bridal hair style, venue and décor to wedding invites, everything is planned after several considerations. If you are willing to invite the guests to your wedding event in an appealing manner, it is essential to select some outstanding wedding stationery supplies. Here are some effective tips that will help you in compelling your guests to attend your big day. In order to convert your big day into a memorable one, it is necessary that everything is planned in an organized manner. The best way to take care of all the arrangements is to manage a “to-do” record. The couples can include the following things on their list. After considering all the things that should be included in the wedding stationery, the next thing is to consider the budget. In order to get the best results, it is necessary that you prepare a guest list in advance. This will help you in ordering for an appropriate number of wedding invites. Ordering for some extra cards is an effective way to be on the safe side. Your guest list should also include the names of the groom’s family and relatives, the minister and the priest. Creating a guest list ensures that you do not miss any of your friends and relatives in the busy wedding schedule. 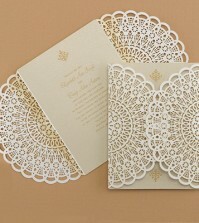 Now, it is the time to finalize the theme of the wedding and select a design of the cards accordingly. The card should be designed in such a manner that it boasts about the theme of your wedding and is capable of attracting the attention of guests to your big day. There are various classic and contemporary designs available on the internet. 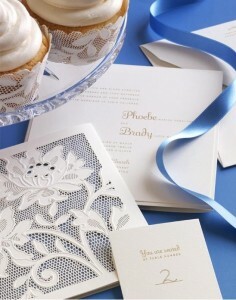 You can also visit the card printing centres in order to get access to a wide range of wedding card designs. Another impressive way of designing tempting invites is to use your creativity. Several ready made kits are available in the event stores using which the couples can design their own cards. You must celebrate your big day with uniqueness and style by grabbing the best bridal stationeries and inviting your loved ones in an elegant manner. Let it be your ideas or suggestions from your colleagues, your focus should be on the big-day and how to give a special touch to the same. Taking your time out of your busy schedule and planning things comfortably are the key factors that can let you come out with quality ideas. Alternatively, you can consider this as a challenge to demonstrate your creativity. Liza exhibits her brilliant event management skills and delivers her best on the wedding occasions. Ranging from wedding announcements to invitation cards, you can always count on his skills. Thank you its so nice to read your article, planning weddings can get expensive, but worth it to each person’s memory.